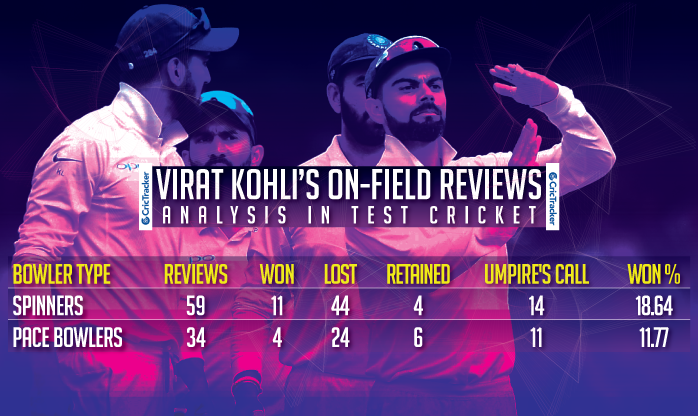 Virat Kohli’s success rate in reviews does have a significant difference depending on the bowler. Virat Kohli is someone who operates with an aggressive mindset and has the ability to charge up his team-mates with his intensity on the field and is often times gets excited when they appeal. As a result, Kohli ends up asking for DRS in the head of the moment and most of them turn out to be unsuccessful. The reason behind Kohli’s diminished success has to do with the players who help him make that decision in the longer format. In the limited-overs matches, the influence and experience of MS Dhoni contain Kohli from making the ‘T’ sign in reflexive action. Virat Kohli as Indian captain has had a total of 23 Test matches where the DRS was in effect. He chose to challenge the umpire’s decision on 93 occasions but was successful on as little as 15 occasions only. He got his first taste of the UDRS during the 5-match home Test series in 2016/17 season where he opted to refer the on-field umpire’s decision 27 times. 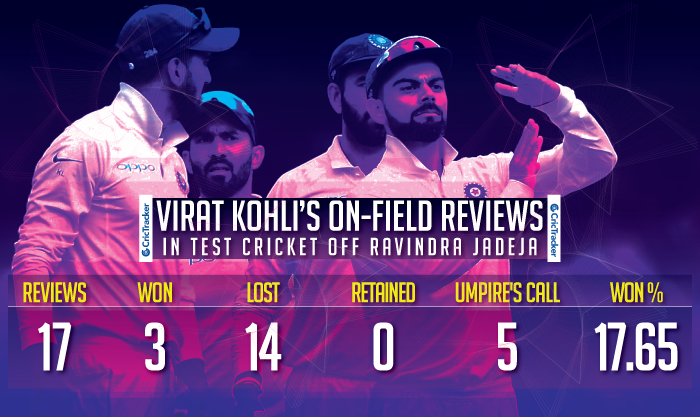 The Indian skipper was successful on only six instances while seven of the remaining 21 unsuccessful reviews went in vain as it was umpire’s calls. During the home Test series against Australia, Kohli was successful only once out of 12 occasions and was unsuccessful all ten times during the 3-match Test series in Sri Lanka. The home series against Sri Lanka was slightly better, which also was the start of the retention of reviews in case of umpire’s call. 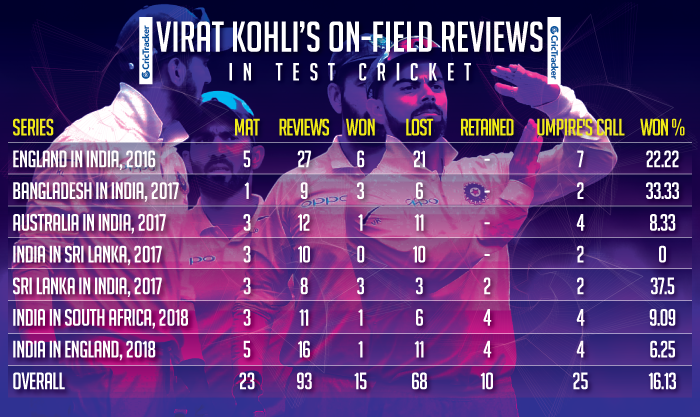 Kohli’s record on overseas tours in 2018 didn’t get any better which also had a lot to do with the umpiring quality. The Indian skipper made only one successful review each during the series in South Africa and England. Kohli’s success rate with referrals does have a significant difference depending on the bowler. 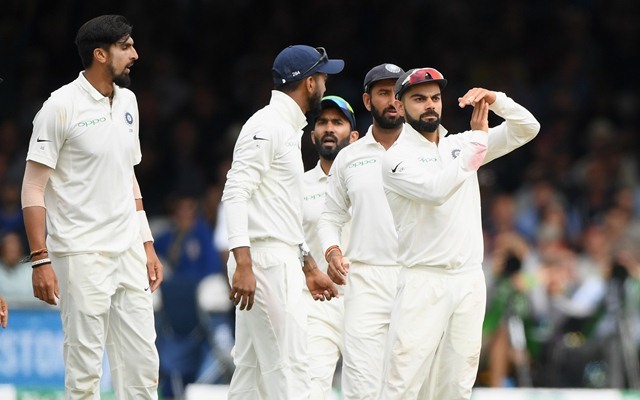 The likes of Ravichandran Ashwin and Ravindra Jadeja manage to convince the skipper and force him to take a review but end up unsuccessful more often. 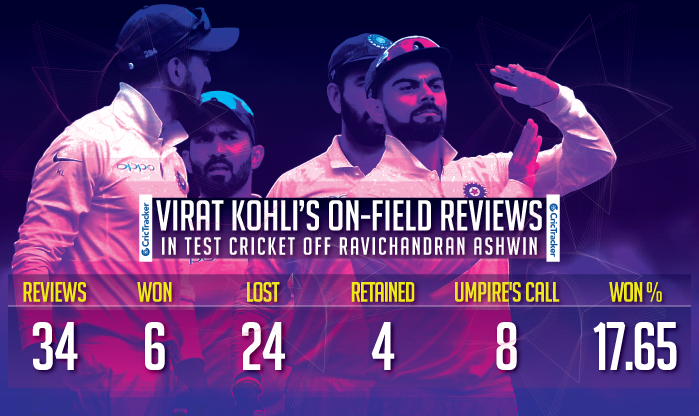 While reviewing off Ashwin’s bowling, Kohli had six successful calls from 34 appeals. Jadeja’s ability to convince Kohli was visible during the second innings of The Oval Test where the left-arm spinner used up both the reviews with his consecutive overs. Team India had no reviews left after just the 12th over of the innings.